This Statute (Bylaw) shall regulate the following: name, abbreviated name, name and abbreviated name in foreign language, registered office, authorized representatives of the Association, appearance of the stamp, goals and activities for the realization of objectives of the Association, fields of action according to objectives of the Association, target groups of the Association, economic activities of the Association according to the pertinent law, methods of ensuring publicity of Association’s work, conditions and procedures of membership and termination of membership, rights, obligations and responsibilities and disciplinary responsibilities of the members and the manner of keeping the list of members, internal organization and bodies of the Association, their composition and powers, manner of convening sessions, manner of their election, recall and their powers, decision making, terms of office and the manner of convening the Assembly in case of the expiry of their term, joining coalitions or communities of associations, joining international associations, election and recall of the liquidator of the Association, assets and property of the Association, disposition of possible revenues, dissolution of the Association, disposition of assets and property in case of the termination of the Association, manners of resolving disputes and conflicts of interest within the Association, transitional and final provisions and other questions of importance for the Association in accordance with the applicable law. Name of the association: Autonomni kulturni centar. The registered office of the Association is in Zagreb. The decision on the change of the address of the registered office shall be adopted by the Assembly. ACC is an association registered with the City Office for General Administration, Zagreb. ACC is a non-profit legal entity. Autonomous Cultural Centre has a logo. The logo is comprised of three arrows which are assembled into a triangle with intermittent lines, encircled with a wrench. Autonomous Cultural Centre has a stamp. The stamp is round in shape, 3 cm in diameter, and has an inscribed writing “Autonomni kulturni centar – Zagreb” and a graphical logo in its centre. The stamp and the seal are kept and entitled to use by legal representatives of the Association, members of the coordination committee and other members with given authorization. Autonomous Cultural Centre shall act on the territory of the Republic of Croatia. With the goal of realization of their primary objectives, the Centre can perform activities outside the territory of the Republic of Croatia, in accordance with laws and regulations of the country in question. Autonomous Cultural centre is a legal entity registered in the Registry of Associations of the Republic of Croatia. Autonomous Cultural centre shall be represented by 3 members of the Coordination Committee, upon the decision of the Assembly. Legal representatives of the Association shall be empowered to individually and independently represent the Association. *networking of individuals and different groups with intention to form a scene which will cover areas of new media, civil initiatives, culture and arts. participation in activities of public advocacy related to the objectives of the Association. *associations and civil initiatives, volunteers, others. 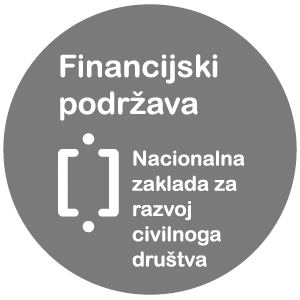 Scope of action of the Autonomous Cultural Centre covers activities of the Association inside and outside the Republic of Croatia in the framework of non-profit and non-governmental sectors, stated in Article 11 of this Statute and aimed at accomplishing goals and objectives stated in Article 9 of this Statute. The Association shall accomplish the publicity of their work by public appearances that aim to promote fundamental values of the Association and their activities, organizing various public events, and means of public information. The Association shall communicate their work to their members on Assembly Sessions, and in the period between sessions on information meetings, workshops, etc. Autonomous Cultural Centre shall accomplish the publicity of their work by production and publishing of, annual and grant, general and financial reports on the public work of the Association. Publicity of the work shall be accomplished by use of all information and communication technologies (web-pages, social networks, and similar), by means of public media and other appropriate methods. Membership in Association shall be voluntary, for all citizens complying with principles of action, objectives and goals of the Association. Membership can be regular, supporting and honorary. Members of the Association can be natural or legal persons who are interested in working with and/or aiding to the Association. Members of the Association can also be foreign nationals, under conditions laid down in this Statute and regulated by Law. The representative of the legal person in the Association shall be appointed by the authorized representatives of the legal person. Membership shall begin upon enlisting into the register of members. An authorized legal representative of the Association, appointed by the Coordination Committee, shall keep and maintain a list of members. The list of members shall be kept in electronic form and it shall include the following information: personal name, personal identification number (PIN), date of birth, date of admission to the Association, membership category, date of termination of the membership. The Register of members shall be available for review to all members and to competent authorities upon request. Members shall be provided with a membership card. Regular members shall be all active members of the Association who shall be obliged to pay membership fee as determined by the Assembly. Every natural or legal person who in any way participates or supports work of the Association in accordance with the principles and objectives of the Association may become a supporting member of the Association. Supporting members can participate in the work of the Assembly, but cannot elect or be elected into bodies of Association. Supporting members shall be obliged to pay a one-time membership fee in the amount determined by the Assembly. Any natural or legal person who contributed significantly to the work of the Association may become an honorary member of the Association. A proposal for honorary membership may be submitted by any member of the Association. The decision on the subject shall be adopted by the Assembly. Honorary members shall not pay the membership fee. – pay membership fees in the amount decided by the Assembly. Membership starts upon enlisting into the register of members. The decision on exclusion shall be adopted by the Coordination Committee. The excluded member has the right to appeal to the Assembly within 15 days from the receipt of the decision. The Assembly shall resolve the appeal within 30 days of receipt. The decision of the Assembly on the exclusion of the member is final. Members of the Association shall take on obligations and responsibilities which are deriving from the applicable Law and other legislation, this Statute and other acts of the Association. Disciplinary responsibility of members shall be determined by the disciplinary proceeding. Disciplinary proceeding may be initiated by any member of the Association. The Coordination Committee shall lead the disciplinary proceeding and impose disciplinary measures. The disciplinary proceeding shall determine circumstances which lead to the breach of membership obligations and responsibilities, the gravity of the infringement and the damages caused to the Association. The decision on the disciplinary measure shall be substantiated. The member on whom the disciplinary measure of exclusion from membership was imposed shall have the right to appeal to the Assembly within 15 days of receiving the decision. The Assembly shall resolve the appeal within 30 days of receiving the appeal. The decision of the Assembly on the exclusion of the member is final. Every member of the Association shall be entitled to warn the Coordination Committee of the Assembly in writing on failure to comply with provisions of the Statute or on irregularities in implementation of decisions adopted by the bodies of the Association. Every member of the Association shall be entitled to lodge complaints in writing on the work of individual members or bodies of the Association. The Coordination Committee shall be liable to respond to complaints in writing within 30 days of receiving complaints. The Association may form and join alliances, communities or unions of associations. The Associations may become members of international associations. The decision on joining such coalitions shall be adopted by the Assembly. The Association shall act in cooperation with related associations inside and outside the Republic of Croatia, as well as with members of other associations or individuals. The Association may comprise organizational forms: branches and sections that don’t have the status of legal entities. Branches shall be established if the Association is carrying out multiple programs or one extremely comprehensive program for the purposes of facilitating the work of the Association. The Branch of the Association shall unify work of all sections acting on their area. The Section may perform one of the activities in the narrow scope of activities of the Association. The decision on forming a branch of the Association and the specific designated general office of the branch shall be adopted by the Assembly. The Association shall name a person authorized to represent organizational forms of the Branch. The Association may establish companies or cooperatives. Companies or cooperatives shall be formed for the purposes of pursuing economic activities in compliance with the mission and vision of the Association. In order to perform their professional, administrative, financial and other work, the Association may conclude a contract of employment, contract of service, or an author’s royalties with persons of expertise, with type of the contract depending on the type, volume and duration of the relating work. Members of the Association shall govern their Association directly, on Assembly Sessions. Bodies of the Association shall be the Assembly and the Coordination Committee. The Association shall have the Assembly as their highest body. The Assembly of the Association shall consist of all regular members with legal capacity and one representative for each legal entity member of the Association. The Assembly works by sessions. Sessions may be regular and extraordinary. The regular session of the Assembly shall place once a year. Extraordinary sessions may be convened when appropriate. Assembly sessions shall be convened by at least one of three legal representatives, in agreement with the Coordination Committee, at least 8 days before the date of the session, with proposed agenda, date and place of the session. An authorized legal representative of the Association may convene a session if so is requested by 10 % of regular members of the Association. In their request for convening the Assembly Session the proponents shall be obliged to propose the session’s agenda. If the session is not convened by legal representatives of the Association within 15 days of receiving the request delivered by the proponent, it shall be convened by the proponent (the decision shall include the proposed agenda and date and place of the session). If all legal representatives of the Association are absent, the chairman of the Assembly Session shall be elected by means of public voting at the begging of the session. In case of expiry of the term of office of the bodies of the Association, the Assembly may be convened by the last representative registered in the Registry of Associations, or by 1/3rd of regular members of the Associations who have been registered in the list of regular members immediately before the expiry of their terms. The Assembly shall have the power to adopt decisions only if one third of regular members is present during the Session. Decisions by the Assembly Session shall be adopted by simple majority vote of members present at the session. Supporting members may participate in the work of the Assembly only by means of participating in discussions, propositions and suggestions, but shall not be eligible to vote in the direct decision-making process. The decisions shall be made by majority votes of present members. The Statute and amendments to the Statute shall be adopted by by simple majority vote of one third of the members of the Association. *adopts all decisions on activities and economic activities of the Association that are not under the jurisdiction of the coordination Committee. The Coordination Committee is the executive body of the Association that ensures the implementation of decisions based on the Statute and other acts of the Association. The Coordination Committee shall have 7 (seven) members, elected by the Assembly. The Assembly shall identify 3 (three) members of the Coordination Committee for legal representatives of the Association. Members of the Coordination Committee shall be elected for the individual term of two years with the possibility of multiple re-election. The Coordination Committee shall be responsible only to the Assembly, and the responsibility is collective. All decisions of the Coordination Committee shall be adopted unanimously. If there is no consensus on a subject, the decision shall be adopted by the Assembly. The Coordination Committee shall convene sessions when appropriate; sessions can be convened by any member of the Coordination Committee. Other persons without voting rights can be invited to attend sessions of the Coordination Committee. Sessions of the Coordination Committee are public for all members of the Association. The Assembly shall identify members of the Coordination Committee for legal representatives of the Association. The term of office of the representatives of the Association shall be 2 (two) years. Authorized legal representatives of the Association shall be liable for their work to the Coordination Committee and to the Assembly, which they shall inform on their work once a year in written form. If the whole Coordination Committee should be relieved of their duties, the Assembly shall elect the new Coordination Committee with full terms of office. If individual members should be relieved of their duties, the Assembly shall elect new members by the expiry of the term for the Coordination Committee where these members are to be elected. The decision on the subject of relieving of duties shall be adopted by the Assembly. The Liquidator shall represent the Association in the process of liquidation, and by starting the liquidation process he/she shall be registered into the Registry of Associations as a person authorized to represent the Association until the end of the liquidation process and abolishment of the Association from the Registry of Associations. The Liquidator shall be elected by the Assembly. The Liquidator can also be a person who is not a member of the Association. The Liquidator shall be entitled for a fee for their work; the funds for that fee shall be calculated from the assets of the Association in the amount set out by the Coordination Committee on their first session following the appointment of the Liquidator. – Funds collected from other sources in accordance with the Law. Financial management of the Association is kept and maintained in accordance with the pertinent legislation. With the purpose to achieve their objectives, the Association can establish companies which can undertake economic activities. The property of the Association shall be financial assets, real estates and movable property. The property of the Association shall be used to achieve their objectives and activities. The Association shall manage the property in accordance with laws and regulations on material and financial management of non-governmental organizations. Revenue and expenditure shall be laid down by the financial plan, which shall be adopted for one calendar year and is valid for that year. Upon the end of the year for which the financial plan was adopted a final report shall be made. The Association shall be liable for their obligations with their entire assets. Members of the Association and their bodies are not liable for the obligations of the Association. In case of bankruptcy of the Association, the bankruptcy procedure shall be applied in accordance with the Law. The Association and their legal representatives shall be liable for the damage made inside the Association, or the damage of the Association against third persons, in accordance with general regulations concerning damages. Members of the Association shall supervise the activities of the Association independently. If a member of the Association believes that the Association has violated the Statute or other general acts of the Association, he/she is entitled to notify the authorized body of the Association and demand resolution of these irregularities. If this request is not taken into consideration within 30 days of delivering the written notification have a right to file a suite with the municipal court competent for the region of the registered office of the Association. The Association may be dissolved in cases provided by the Law. If the Association is to be dissolved, the Assembly shall decide on the property of the Association on a special session. In case of the dissolution of the Association by the fundamental decision of the Assembly, the Assembly shall adopt a decision on dissolution of the Association by two-thirds majority votes of all members of the Assembly. In case of dissolution of the Association, after all their debts and court and administrative fees are settled, the remaining assets of the Association shall be distributed to another association, institution or foundation with the same or similar statutory objectives, upon the decision of the Assembly. If there is a conflict between members of the Association that is interrupting or impeding the work of the Association, and it can not be solved through procedures laid down by this Statute, members of the Association shall be referred to arbitration to be carried out by the Coordination Committee. Failing such settlement, any disputes shall be referred to the competent municipal court. Members of the Association shall perform all actions relevant to the Association in a honorary, conscientious, responsible and unbiased manner, keeping their own credibility and the credibility of the Association. When working on activities of the Association, members shall not put their personal interests above the interests of the Association. Where member’s private interests are in conflict with interests of the Association, or when private interests are influencing or can improperly influence his/her performance and unbiased work on Association’s activities, the member involved in the conflict of interests shall without delay notify the Coordination Committee and, if possible, exempt themselves for further work on the activity in question. Where there is doubt about the conflict of interests, member of the Association is obliged to seek an opinion of the Coordination Committee. Member involved in the conflict of interests shall resolve this conflict in a manner that will protect interests of the Association. Conflict of interests shall be resolved by the Coordination Committee. When in doubt on the possible conflict of interests, the member of the Association shall perform all necessary measures to separate private interests from those of the Association. The Statute of the Association shall be the fundamental general act of the Association and all other general acts shall be in accordance with provisions of the Statute. Draft amendment to the Statute shall be prepared and determined by the Coordination Committee and addressed for discussion to members of the Association. Coordination Committee shall consider comments and suggestions provided during the discussion, take positions and establish the Proposition of the Statute. The Statute of the Association shall be adopted or amended by the Assembly by simple majority votes of all members of the Assembly, after the discussion. The initiative for implementing amendments to the Statute may be started by a group of at least one third of regular members of the Association. The initiative for amendments to the Statute shall be delivered in written to the Coordination Committee. Coordination Committee shall, upon a delivery, include the initiative in the agenda for the first next Assembly Session. Proposition of amendments to the Statute shall include a reasoned proposal and a new formulation of articles of the Statute subjected to the proposition. The Assembly shall decide on all other procedural and statutory topics that are not regulated by this Statute. This Statute shall enter into force on the date of adoption. The Statute of the Association dating form March 25th 2013 shall cease to be valid from the date on which this document enters the force.